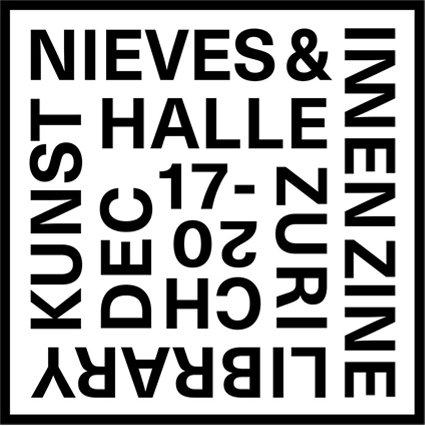 For now about ten years the program of the two independent publishing houses Nieves and Innen focuses on books and zines by artists of various generations and backgrounds. Those publications are of a small, pocket-size format and refrain from any written text – they consist of images alone – and are distributed mainly via subscription. Hence they quickly become bibliophile collector's items. However, during a special presentation within our current exhibition They Printed It! they can be browsed and bought freely, drink in hand, over convivial conversation, and music. You might find the christmas present you weren't even looking for! After the opening the Nieves & Innen Library will be on view through December 20.